The Clek Foonf is a cool seat that has some nice innovative design features that make it a winner in our book. With features like an anti-rebound bar, steel magnesium frame, and GreenGuard Select certified Crypton fabric it is easy to see why this seat performs so well in testing. The Foonf has a ridiculously easy to install rigid LATCH system for the forward facing configuration, and almost equally trouble-free LATCH anchors for rear facing that make installation almost completely foolproof. We loved that the seat has additional features for safety, is made with quality materials, and is one of the sharpest looking seats around. If you can afford this high-end seat, it might just be the different kind of seat you've been looking for. We like this seat, and it earned a Top Pick for Narrow Width. Clek released an updated version of the Foonf convertible seat for 2017. Read more on the changes down below. The updated version of the Clek Foonf has increased padding and protection around the crotch strap. This new padding is available for purchase separately from the seat to bring an older Foonf up to date. We tested the seat with the new buckle pad and found that scoring remains the same for the seat. Below are photos of the buckle padding on the newer Foonf (left) and the older version (right). Clek derived from one of the world's largest automotive suppliers. Clek strives to create innovative and safe products that think outside the box from the usual gear. Their safety seats are manufactured in North America. The Clek (in blue) earned a respectable ranking in comparison to the competition in this review. The sections below include performance details for each metric on how the Clek performed during testing. The Clek Foonf has a mixed bag of crash test data. The important thing to understand is that this seat, like all the others in the review and on the market, meet or exceed the Federal safety guidelines outlined in the FMVSS 213, and so, therefore, are considered safe. Data from sled crash testing is recorded from the head and chest sensors in the crash test dummies used in each seat during testing. Our testing was designed to the same specifications as those used by the National Highway Traffic Safety Administration (NHTSA) in their testing for a true side-by-side comparison. Some seats have test results that seem to indicate that the seat offers an additional margin of protection with fewer G-forces than the average values recorded. Clek has G-force data for the chest sensor that is lower than all of the other seats we reviewed, and chest sensor data that is second to the highest in this review, but is still half of the maximum allowable amount. The chart below shows the test data from the sensors in the test dummy for the Clek (shown in black), including the crash test data for the seat that has the least amount of G-forces recorded in the head sensor for additional information (shown in green). The Foonf's HIC result os over twice that of the best in the group Essentials by Britax Allegiance with 186. 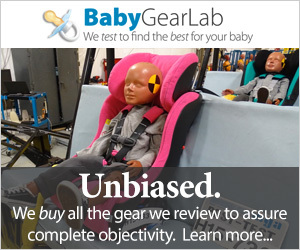 The Britax Allegiance head sensor recorded a lower amount of G-forces in crash testing than any of the other seats in this review. The Clek has the lowest recorded G-forces for the chest sensor. The Clek earned the high score for ease of installation with a perfect 10 of 10 in this metric, tying with the Britax Boulevard ClickTight. It has a relatively unique (for the group) rigid LATCH anchor system that is ridiculously easy to use because it doesn't require any tightening. Installation of this seat using the LATCH system forward facing will leave you wondering why all seats do not offer a rigid LATCH design. Adjusting the anchors to pull out from the base is easy and the clips can be attached to the vehicle at the same time, or one side at a time; depending on your vehicle both can seem easy or one might feel better than the other, but whichever method you choose you will still be pleasantly content when that is essentially the end of the installation process. The photos above show the seat without the recline attachment (left) and with the attachment (right). This is an entirely separate part that will need to be stored elsewhere when not in use (rear-facing attachment only). This is the same for the anti-rebound bar. Forward-facing is simpler and doesn't require any extra steps while rear facing requires the addition of a base recliner and an anti-rebound bar, but either direction will leave you feeling like it was too easy and you must have missed a step, only you didn't. Rear-facing does not offer rigid LATCH but is still easier than most seats in this review. With the rigid LATCH anchors, there is almost no movement at all in the seat, and it always feels secure no matter what car we tested it in (4 various models). The anti-rebound bar adds to the feeling of security, and it is the only seat in this review that did not tip toward the vehicle seat back when pushed because the bar makes this virtually impossible. Overall, we can't imagine a seat being easier to install. The Clek Foonf has the highest weight limit for rear facing installation out of all the car seats we tested. This means baby can stay rear facing up to 40 pounds. Rear facing installation is the safest riding position for baby no matter what their age and it is recommended that baby stay rear facing as long as the seat indicates it is safe to do so. The Clek continued to impress in the ease of installation using the vehicle belt by once again earning the second highest score of 9 of 10. The LATCH system was created to make installation easier and more foolproof, but with the Clek even the belt installation is fairly foolproof and hard to mess up. The photos above show the rear-facing belt path that includes lifting the seat bottom up to access the path. The photos above show the forward-facing belt path. The downside to this seat is similar to some of the others in that the belt path is under the seat bottom and somewhat requires the seat to be dismantled. The pathway is in a different location depending on if it is forward or rear facing, but both require moving seat part around to thread the belt. Installing rear facing is done by pulling up on the seat bottom to thread the belt and access the belt lock off. This is fairly easy, and the bottom stays up, so you have a clear view and don't have any parts in your way. The belt lock-off is one of the easiest in the group to use, and our only caution is you will need to double check that you have the belt as tight as it will go before you close the lock-off or you will have to start over. If you get the belt too tight the lock off won't close. Rear facing is once again a little more convoluted, and it requires the putting on additional parts, so you'll need to allow time and space for that. Ease of use is the one category where the Clek didn't shine as much as the competition. It only earned a 5 of 10 in our tests, which puts it below average for the group. The Clek buckle isn't the greatest, but it isn't the worst either. The Clek is stiff in comparison, but not as stiff as some of the group. The chest clip is marginally better, and while not our favorite, it doesn't cause pain to operate and fingers of just about any size will be able to manage it without difficulty. Tightening and releasing the harness is relatively easy with a button that is hidden and deep near the foot of the seat (below left), but still reachable and easy enough to find and use. The strap to tighten is also located at the foot of the base and pulls smoothly. The Clek does not have a non-rethread adjustment option. This feature is a shame given that the seat costs so much and has an adjustable headrest (above right) like those models that do have a non-rethread harness. The harness rethreads with a double hook in the back and threads through slots in the back of the seat shell. It is a little harder than the some of the other rethread seats because the shell is thick and the seat is heavy. The shoulder straps have six height positions and two crotch positions to help ensure a proper fit. The forward-facing LATCH is rigid and retracts into the seat base when not in use. The rear-facing connectors store under the seat bottom cushion which pops up. The tether clips to the back of the seat, and the strap rolls up and comes together with hook and loop closure. The LATCH storage does keep the straps and clips out of the way. The fabric on this seat is not supposed to be removed and is spot clean only. While the fabric fits the seat bottom and seat back nicely with a look we liked, it is unfortunate that it cannot be laundered in some way. The fabric is made from materials that Clek says is resistant to spills and stains, but it remains to be seen how well this will wear over time. The Clek scored an 8 of 10 in the metric for comfort and quality and impressed us with how well it was put together and the innovative design features that help make it a unique seat. The fabric on the Foonf is like none other in the group. It is soft and plush, and it seems like the passenger would be less likely to sweat in this seat as the fabric feels breathable. The fabric is made with GreenGuard Select Certified Crypton fabric that Clek claims provide permanent protection against stains, moisture, and odor-causing bacteria. It is also the only seat to claim free of brominated and chlorinated flame retardants. The padding under the fabric is a very firm foam covered in thick fabric. The foam is not cushy and comfortable in a traditional sense, but it still feels like it would be comfortable in a similar way to a high-quality mattress. We could not feel any bumps or ridges under the seat, and there is no infant insert with the Foonf. The shell on the Clek is a hard plastic surrounding a metal frame. It is mostly smooth and self-contained with a little bit of open webbing on the lower portion that might be harder to keep clean. The seat has a tidy look with everything in its place and nothing swings or flails about when you move it. The foam on this seat is Expanded Polystyrene (EPS). This is the most commonly used foam in car seats and is similar to what is found in bike helmets. Expanded Polypropylene (EPP) is also used in some seats (the Britax seats in this review). It is less brittle and stiff than EPS and is more environmentally friendly and doesn't off-gas; we prefer the EPP foam over the EPS for these reasons. The Clek has a very nice overall fit and finish that looks good compared to the majority of seats. It has the look of a tailored piece of furniture as opposed to a slipcover look shared by much of the competition. The fabric is somewhat fuzzy by design, and we wonder how well this will wear over time, but it looks nice when new. The seat bottom has no protruding edges or sharp corners that could potentially damage the vehicle seat. The Clek is the heaviest monster in the group earning a 5 of 10 for weight and size. As much as we love this seat, we can't help but remark honestly on how stupidly heavy this seat is. With the angled bottom, steel frame, and anti-rebound bar for rear-facing installation, this seat is over 38 lbs. For forward-facing, it is a bit lighter at just under 34 lbs. None of the other seats in the review come close to being this heavy with the next closest option being the Britax Advocate ClickTight at over 30 lbs for rear-facing. The Foonf, however, is one of the narrowest seats we tested at 17 inches wide. This width somewhat makes up for the heft of this seat, but on the bright side, you shouldn't have to move it often. It also means you can possibly fit three across in most vehicles if you need multiple safety seats in the same car. However, keep in mind the Clek seats are bulky from front to back and rear-facing could take up more space in a vehicle than other convertible options. With this in mind, we recommend buying from a retailer with a generous return policy like Amazon so you can make returns if the seats don't fit in your car as expected. Clek offers a few accessories for their safety seats. Clek Cleaning Kit — Interestingly, Clek offers a fabric cleaning and stain removal kit even though the fabric is supposed to be stain resistant. Because we all know kids are messy, and we suspect you will need it, we suggest to in case moments. Clek makes other kinds of car seats like boosters both fullback and backless, but it only makes one other convertible style seat. Clek fllo — Clek calls the fllo a compact convertible seat which is sort of interesting given that the Foonf is the narrowest seat in our review. Clek describes the seat as having a "…compact design sits lower in the vehicle for improved visibility and ingress/egress". The fllo has a list price of $380 (significantly cheaper than the Foonf). If you are looking for a Clek seat but are put off by the price then the fllo may be a useful alternative, though it scored lower in our testing. Amazon $382.49 - 15% off!